We reported in July last year that the 2nd class coil, printed by Enschede, was available in rolls of 10,000 with a 2012 year code MA12. We've had mint examples available for some time (shop). Now we can show the first on-cover example from a direct mailing source (rather than from a dealer or collector). 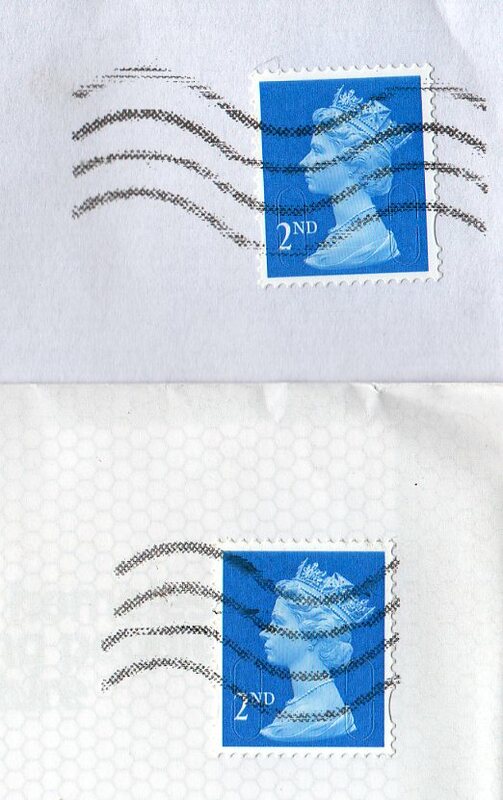 The two variations on the 4-line ink-jet wavy lines came from different mailings, the 'upper' one from March this year, and the 'lower' one from a recent mailing. 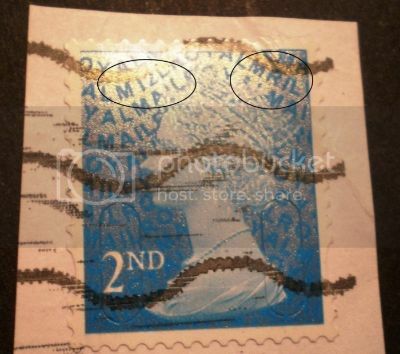 So if you support charities, take a good look at their mailings if they use stamps. You might be the first to find the MA13 version, if it exists! UDPATE: As you can see in the comments, it is not the MA13 version which has been found, but a new M12L version. Thanks to the contributor we can show the picture. This post is now closed for comments and comments may be made on a new current post. I have just come across an M12L version of this MRIL 2nd class in kiloware. I specialise in these security issues and never knew this existed. Any idea where this comes from? Thanks for the report, I've also seen this on Stampboards but I hadn't really done much online today. I agree it is not the one that we previously saw and reported, definitely new. 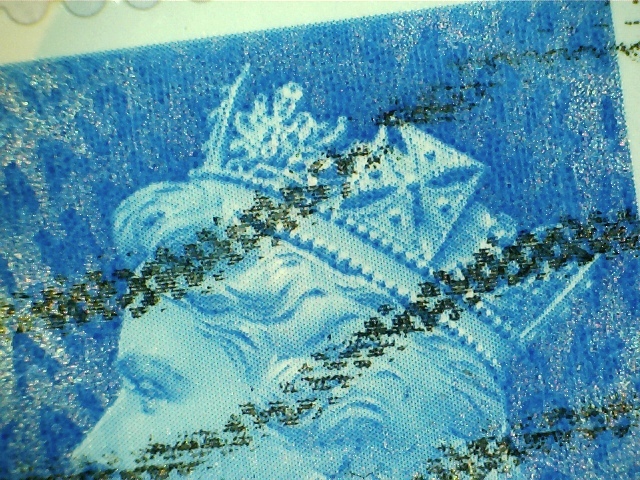 It will be from a different printing of the 10,000 coil. The red one is MA12 which makes this even more strange, and suggests that it might pre-date the one we were selling!